"After completing the second grade, children should have a good foundation in basic mathematical computation and reading. They should be able to solve addition and subtraction problems whose answers equal up to 18 (or 20), with ease. They should also be able to add and subtract problems with double-digit numbers and understand place values for numbers in the ones, tenths, and hundredths places. When it comes to reading, they should be at the point where they are reading many common words and using the techniques they’ve learned to try to sound out words that are difficult to them. They should also be able to look up simple words in a dictionary and to demonstrate an understanding of what they read when asked. In terms of writing, they should have been introduced to some basic parts of speech like nouns and verbs. They may also be able to write basic paragraphs that have a clear beginning, middle, and end, with some ability to proofread their work. In third grade these areas will be further enhanced. The foundational skills that have been laid over the past several years will be refined and solidified. In third grade, children go on to learn concepts like “carrying over” for addition and subtraction. They also start to learn slightly more complex words and focus a little more on writing." My child is able to read words with complex patterns like “ight” (“fright”), “eight” (“weight”), and “eigh” (“sleigh”). My child can figure out the meanings of many unfamiliar words by studying the words around an unfamiliar word and looking at how words are used in sentences. My child has a general understanding of the basic units of measurement for the U.S. Customary System and the Metric System (i.e. inches, centimeters, ounces, pounds, grams, liters, and gallons). 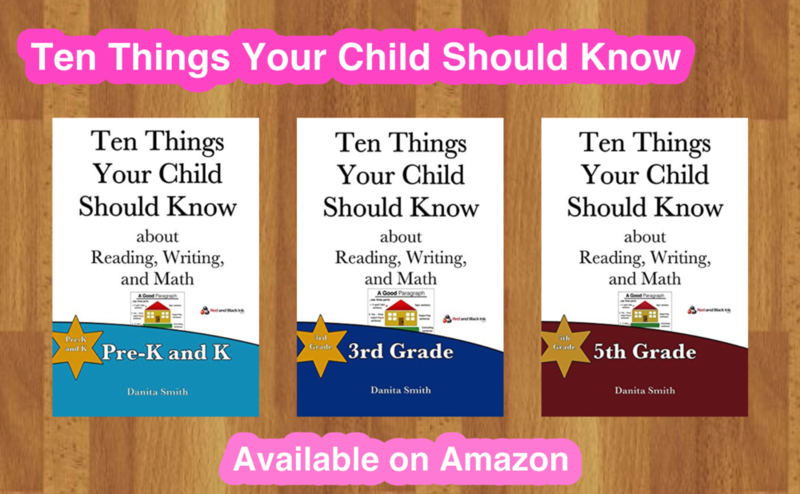 Ten Things Your Child Should Know about Reading, Writing and Math: 3rd Grade, is available on Amazon. It offers lists of skills, activities and explanations that can help you manage your child's educational development.